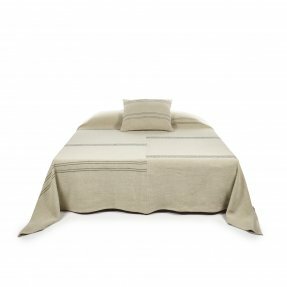 Inspired by Moroccan blankets found in markets, these coverlets are made of two pieces sewn together in the center, creating asymmetrical black stripes sitting on a solid bone ground. 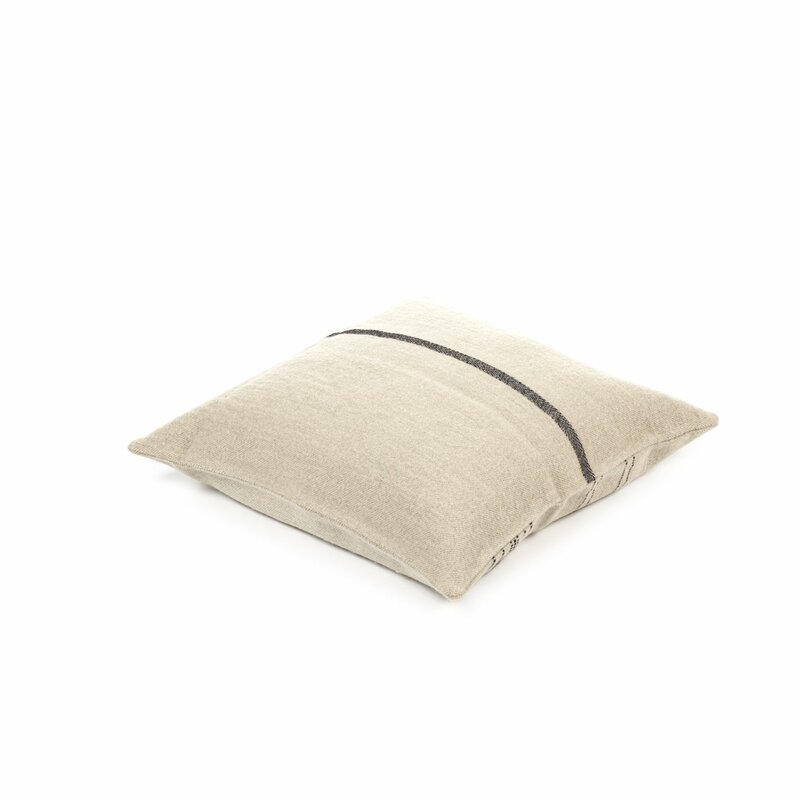 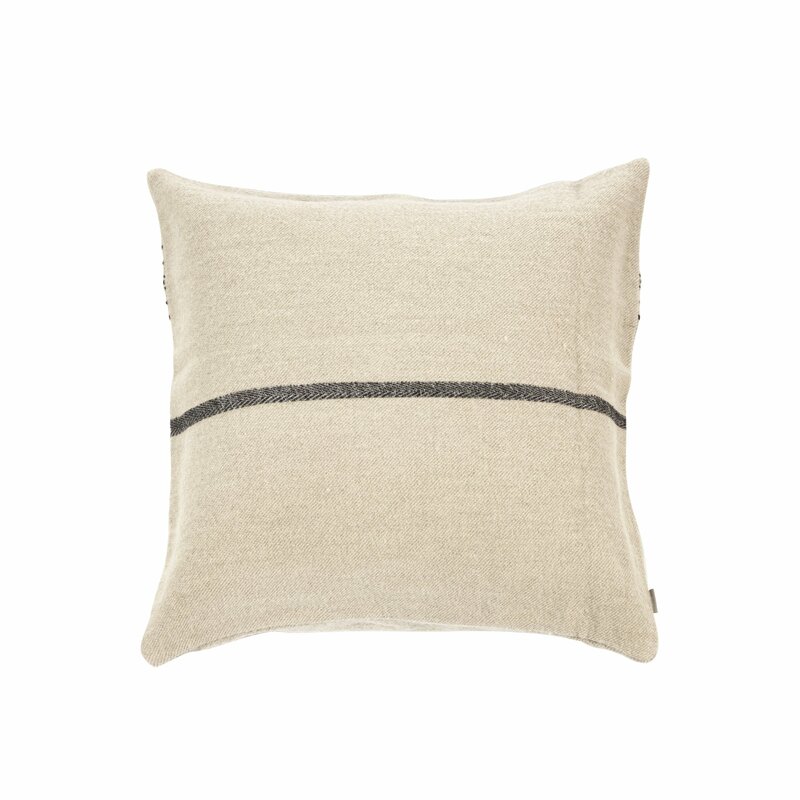 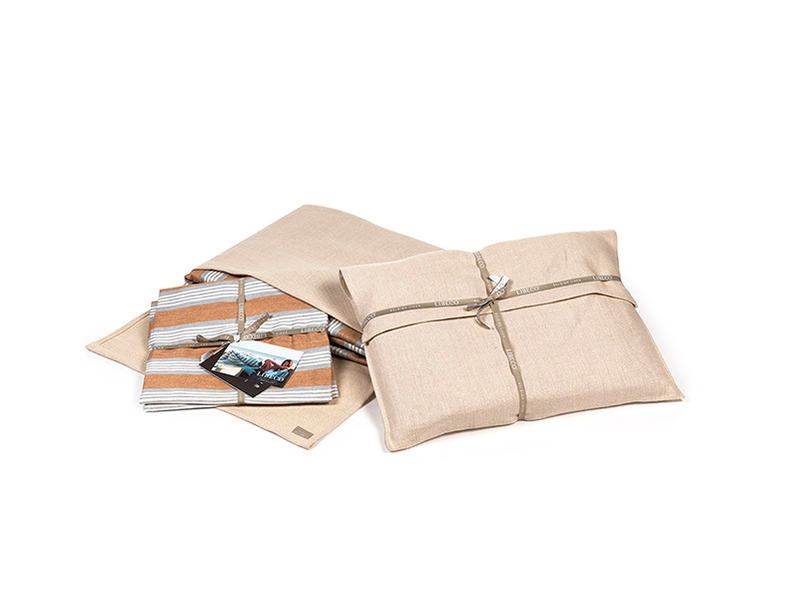 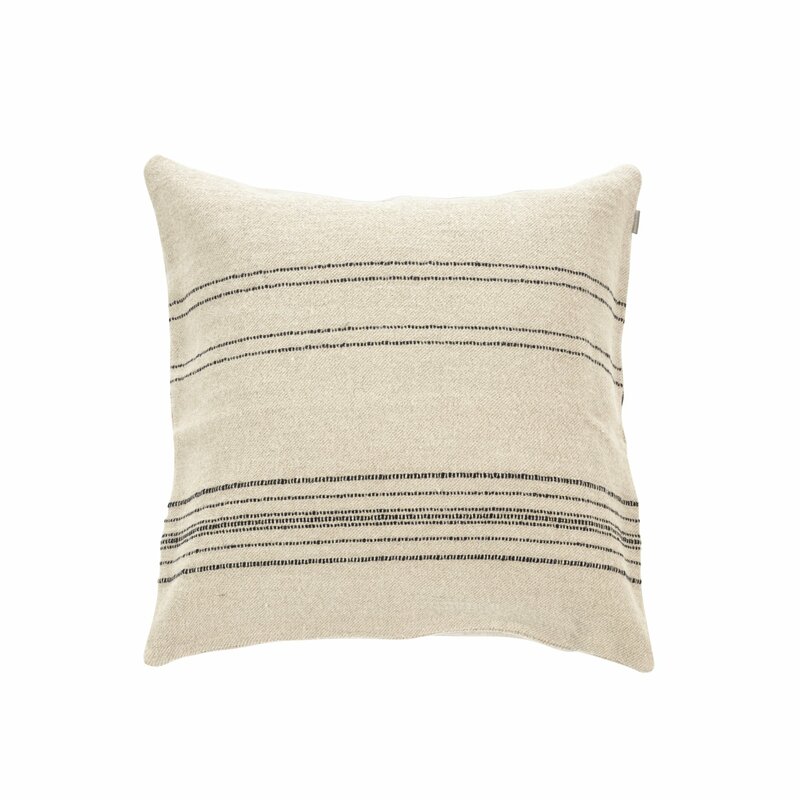 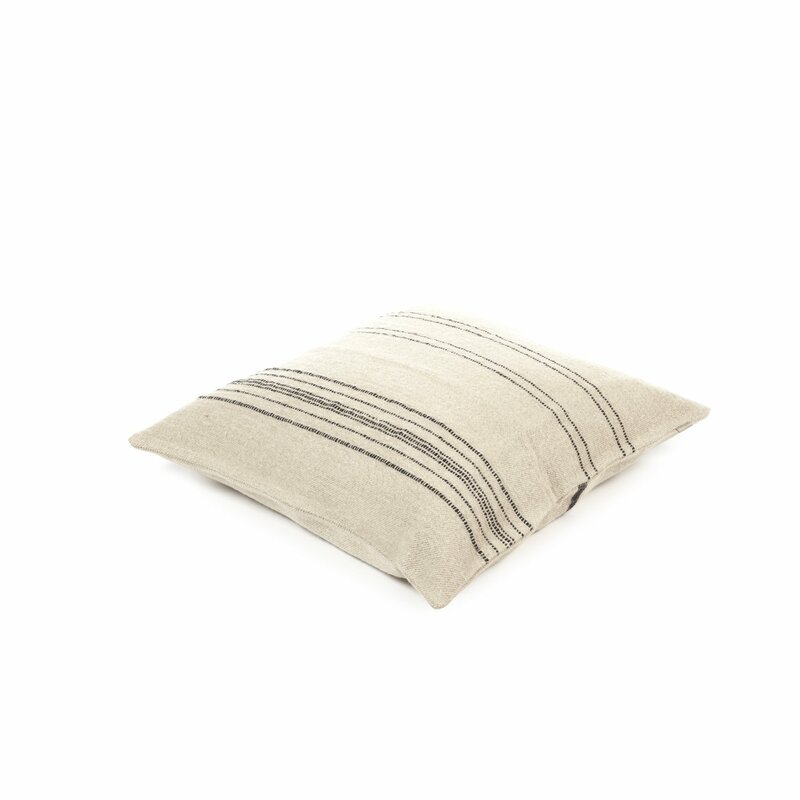 The same stripes are on the front of the pillow shams, the back is finished with a linen, herringbone trim. 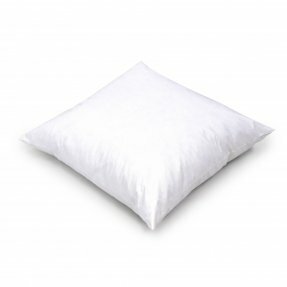 The 70% linen/30% wool fabric is full bodied with lots of texture.